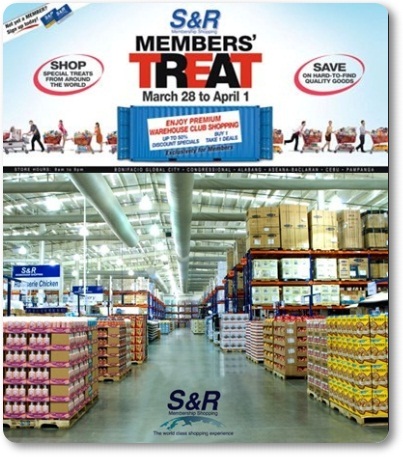 S&R Members are in for a Treat this 2012 as S&R once again offered huge discounts of up to 50% and buy 1 take 1 deals from March 28 to April 1, 2012. Check out some of the discounted items on S&R's Facebook page. S&R is exclusive to S&R members only.